Klaus Mikaelson and Caroline Forbes. . HD Wallpaper and background images in the Klaus & Caroline club tagged: the vampire diaries caroline forbes klaus mikaelson klaroline joseph morgan candice accola klaus & caroline. 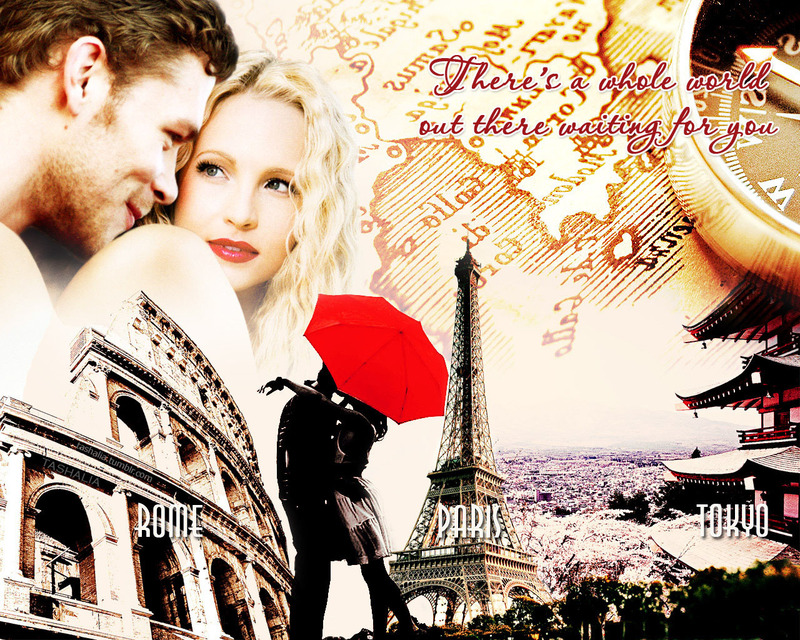 This Klaus & Caroline wallpaper contains jalan, pemandangan kota, perkotaan, kota adegan, and perkotaan pengaturan. There might also be payung, kerai, dikenali, and brownstone. OmG I just wanted ti say that this picture is amazing !